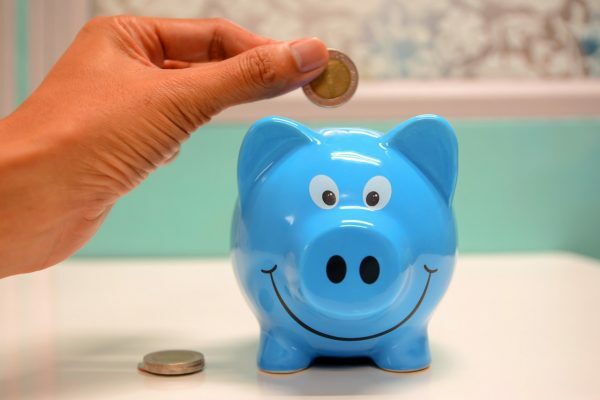 This article will help you save money with a money savings challenge for small budgets. 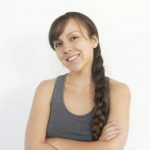 Since most people don’t have $1600 each month at the end of the year, this challenge will accommodate those just starting out or with limited funds. If you like this article, please share. Enjoy! Okay, so we have all have seen those money savings challenges going around where you put money away each week and by the end of the year, you end up with anywhere from $5,000 to $10,000. Well, the idea is nice and it’s great if you actually have $430 per week for weeks 50, 51, and 52 which end up being the weeks leading up to Christmas and the New Year! I don’t know about you but for me, I don’t have $1600 dollars to put away each month right before Christmas. Many people can start the challenge but then fail after they run out of extra money 6 weeks into it. The reason these challenges fail is because the money saving challenge starts out slow but then revs up the savings as time goes on. The system just doesn’t work for people who are not used to saving or people working with smaller budgets. It’s kind of like following someone on their financial journey when they posted that they paid off $40k in 2 months but then you find out they make 6x as much income as you do. Well shoot, if I had that much money, I’d be sitting pretty too, amiright? 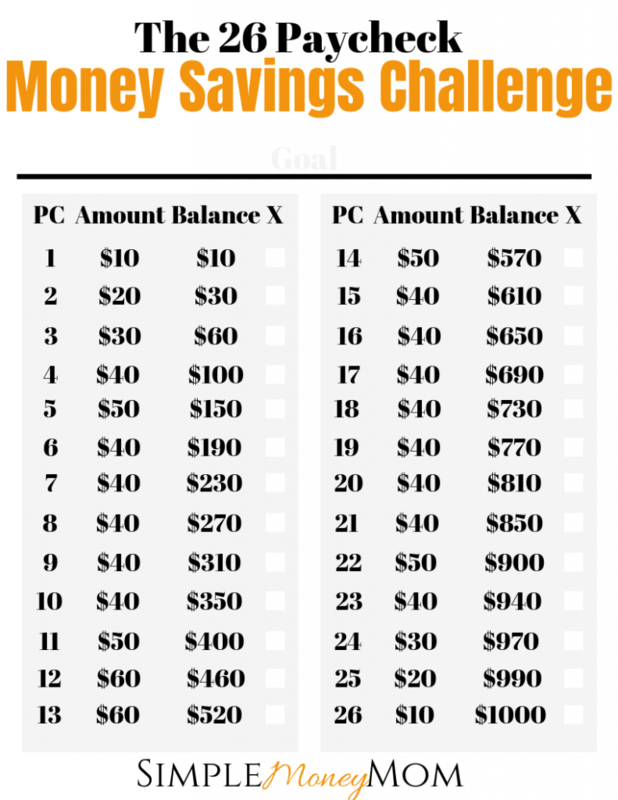 In the most popular savings challenge, the 52 week savings challenge, it starts out with saving $1 in week 1, $2 in week 2, and so forth. By week 52, you are saving $52. You end up with $1,378 in the bank. The problem with this is that in the last 4 weeks, you are saving an average of $202 compared to only $10 in the first 4 weeks. For most people with limited funds around the holidays, this challenge will fail. I’ve decided to make my own savings challenge and design it with you in mind. I’m also going to put a unique spin on it by NOT doing the standard 52 weeks. Because of the fact that I budget by paycheck, I’ll be creating the 26 paycheck money savings challenge. With this 26 paycheck money saving challenge for small budgets, you start out putting away just $10 from your first paycheck. Then, you’ll increase your savings as time goes on until you reach the middle, where you will peak at only $110 in a 4 week period. After that, you’ll plateau for a while then begin decreasing your savings around the holidays making your savings effortless at that point. Anyone can do this challenge but I wanted to make something manageable and achievable for you. In order to be successful with this challenge, or any savings challenge really, you need to have the right mindset. Dave Ramsey got it right when he said that personal finance is 20% math and 80% mentality, or something like that. To start the New Year off right AND to get in the right mindset, I want you to find your WHY. Are you building an emergency fund? Are you saving for Christmas so you can have a debt-free Christmas? Do you want to go on a vacation soon? Trying to pay down debt? Write it down. 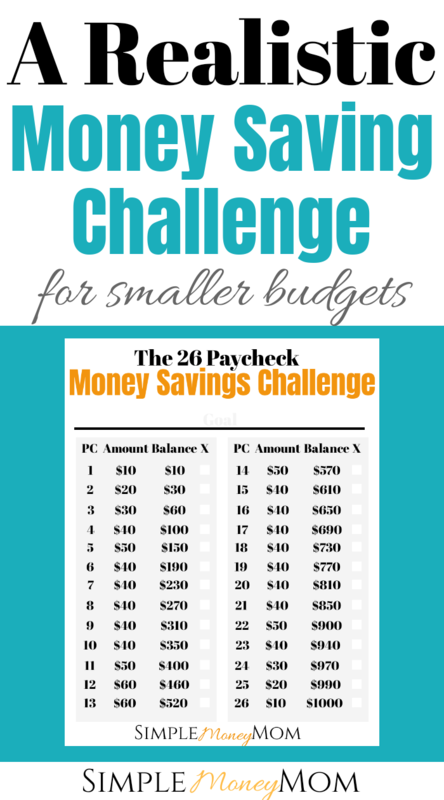 Put it on a sticky note and plaster that sucker on your bathroom mirror so you will be reminded every morning of why you are doing this savings challenge. Heck, make it a wallpaper on your phone if you have to. When you have your why, I want you to get fired up. You can do this! You got this! You are a money saving machine! Now, sit down and make a plan. Every month, I want you do to one thing, just one, to either decrease your expenses or increase your income. It can be as simple as negotiating your car insurance or selling something you no longer need. Doing one thing per month makes the system realistic and manageable, especially for moms. I hope you enjoy this printable! Let us know in the comments what you plan to use the savings for! Christmas? Debt? Emergency Fund? Vacation? I try to save- my husband and kids- not so much. I think this is a more manageable and realistic savings plan. I’m going to pass this on to my older daughters in hope of them getting on board and saving for a family trip with all of us (grandkids included) to Disneyworld. Carolyn, it can be hard when you are the only one on board. I understand this first hand. But this savings challenge is something that anyone can do to get started. Once you get used to saving consistently, you can challenge yourself to a bigger goal next time.